Southern Fried L'Attitudes: Cleanse day and "When does the Selling Start"? 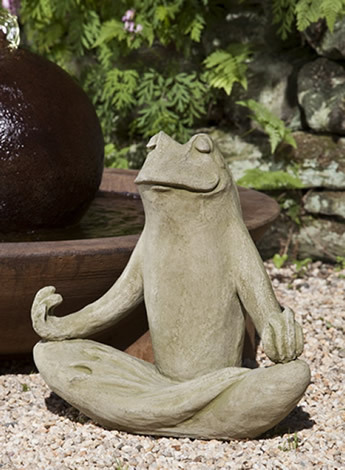 I feel like I need a little zen this morning! And just ease may way into the day. But, it's not really like that. Yesterday was the cleanse day. While it is fairly easy, there are times when you think "ah I'm ready for some lunch" and then you remember "ah it's cleanse day and I can't have". The hunger moments for me are usually about 5 minutes before it's time for my next "thing" - whether it be the little isachocolate or the rich berry juice or the little round earthy snack circle. Then I'm fine. But yesterday I had an overwhelming desire for a bologna sandwich with mayo. There will be a bologna sandwich in my future. George offered to go to the store and get bologna if I wanted it. But I told him no - I'm being steadfast so the cleanse day can do what it does best and burn fat. I'm drinking my coffee shake this morning. Instead of water, I used coffee. lol And it's really very mocha tasting - very good. I was ready for the nutrition from the shake, but I wanted my coffee. I was not sure I could have the coffee on such an empty stomach so I mixed the two and it is a beautiful thing. Sometimes on the day after a cleanse day I'm in a strange mood. Well, let's back up. About 6 - the time I get home, my mind is mostly spent on a cleanse day. While most of the day you have vivid clarity of mind and even some energy - I took a walk with the girls at work yesterday. But at 6 I was ready to kick my feet up and watch TV. I did not want to think or do anymore. I'm ready for bed by 8 but usually stay up til 9 at least. George was asking me about how my nutrition business is going and what is next. He doesn't really see what all is happening. lol He just sees that I have "my food" except for when we eat together. I'm sure he sees I have more energy and drive. He definitely sees my "dreams" - lol. And he definitely sees my food bill. Our grocery bill would go down if we didn't buy sale food all the time - lol but that makes it even cheaper right? He sees I eat out less. And I spend less of my blow money on fast food. I don't even do fast food anymore and quite frankly have very little need or desire to now. Occasionally I want a burger and will get one here and there but it's a rare thing now. We have eaten at Subway a couple of times lately and the last time I got a salad. So.....he asked what was next? He was trying to figure out when the selling started. I guess he wants to know when we'll start having some extra income. First of all - I want to be able to share it b/c I want others to feel good like I do. Second of all, it would be nice to get my food paid for. So that would be a goal. Then next it would be nice to grow the business, if it worked out to do so b/c your options are more open for things you'd like to do in life as far as retirement and travel goes. So all that said, I'm one of those methodical people that has to lay the ground work first. And I do like to follow the patterns laid by the ones that have had success. So he's asking "when does the selling start?" He said "you have had two interests in the last couple of weeks and both said no so do you have to prospect?". I think he was trying to help b/c he knows I'm introverted and not the sales type. I told him I wasn't afraid to talk to people but I was afraid of the awkwardness of it sometimes. When I'm excited about something it's easy. And I'm excited about this. But I told him "it's not time yet" - lol. I like to have my groundwork laid, learn the product, set my 90 day plan, learn from Lisa, learn from podcasts, watch others. I'm dabbling right now. I'm laying the foundations. Setting the cornerstones. Fueling it with my dreams. Listening to podcasts for my motivation and how to's. I'm gathering facts, gathering information, gathering tools. I'm getting ready. You can't open a business on a whim without a plan, without some knowledge, without being able to establish the rules and guidelines and set up the ropes, the goals, the vision. So I'm morphing. It feels good. And where I am in the process right now is working on the 90 day plan, my why, and part of these 90 day plans are a bit time consuming. The vision board took a while. It's complete now. I just have to post it up in the laundry room. I shared that with him last night. He liked it. I will do the Mind and Body plan - which is a course I pay for. I've downloaded materials. I will next order some samples and some business cards and work on my website. I'm set for the Global Event and hotel reserved in August - which I hear catapults you into action! I've scheduled a big Sip and Shop for October. Have my first vendor lined up to join me. I need a few more and will be working on that. I'm listening to our team conference calls. I can't join live right now but I can play them on my drive to work or while ironing. So it's coming together. It'll happen. I'm just methodical. I do a little every day. I'm energized in all parts of my life by the positive people I'm around. And it feels good - like a glove - like where I'm supposed to be. I feel like my talents are all coming full circle and God is intertwined amongst it all. I'm very close to being through with the 90 day plan. My 90 day plan may be a 180 day plan - but we'll see. I'm slower but can be just as darn effective. And I'm very excited and will continue to work at it - at my pace and get around the learning curve and the setting up. And then I'll push through my awkward fear and get it going. Ok off to work, but it was a nice conversation with George. I'm glad he is interested. I'm glad he wanted to help. He once did Bible sales. He knows you have to go through a lot of no's. I told him our team said to go for the no's. They are serious, b/c eventually when someone knows what we know they say "yes". For example, I was so anxious to feel good and I tried a shake and it made me feel so good I had to have it. But it's daunting b/c you have to buy the first month of your groceries and it's expensive but it works itself out over time b/c you never order that much again at once - you order as you run out. But I'm glad he was interested and he may have been surprised as to how much time I'm actually getting in with car time, ironing time, spare time and so forth and still getting the rest of life done. He looked up the RV shows and found a coupon for $2 off of the January 2019 show. lol I think we are both looking forward to it. So I guess we can put that on the 2019 calendar for next year! Woo Hoo. And I need to get ready and head out. A busy week ahead. I ask for prayers for the rest of the week - a lot of things on the agenda. Several of us need some help and strength to do all the things we need to do all week. And I got George and I set up for my company's insurance as of our family status change date. And that is upcoming. He is mailing back his term package paper - signing it off. He's pretty happy that is turning out - if they hold up their end of the bargain. Progress....and we'll see what happens from here. Prayers for an offer for him! I keep saying that is where the rubber meets the road. So ya'll have a good Tuesday. And I may seek some Zen moments here and there! I can tell that you are very excited about your new business and new lifestyle too. They do say that if you love your work, it really isn't work at all. You and your family are always in my prayers. Never doubt that. Hope you do have a terrific Tuesday ! zen moments are good, we all should have them.